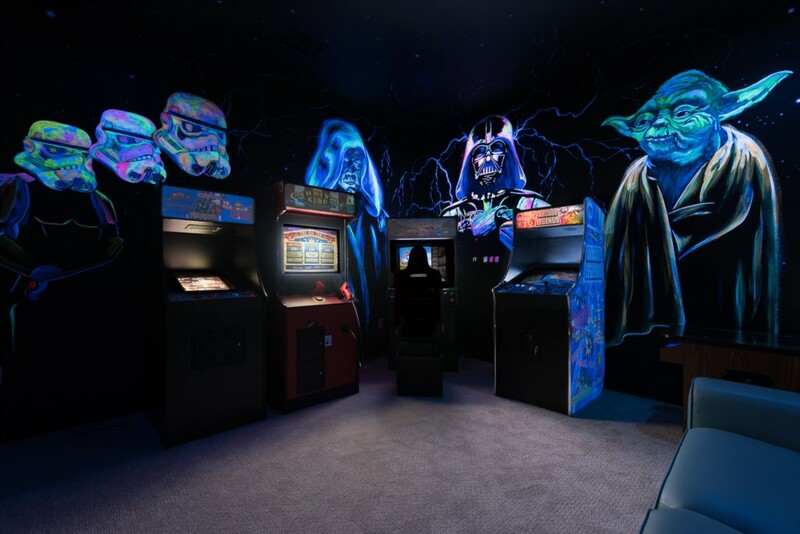 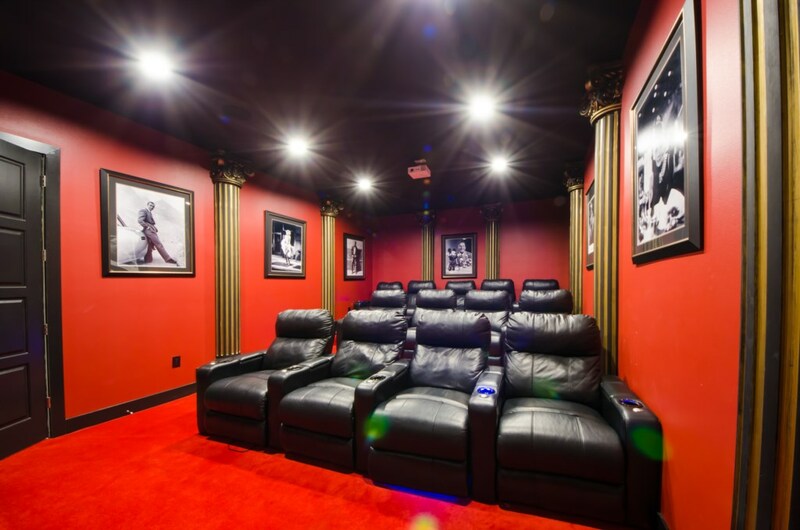 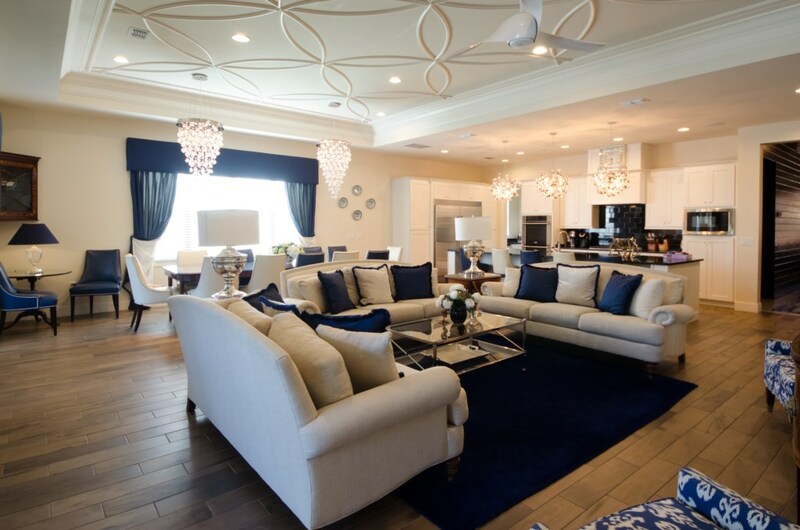 A stunning 11 bedroom mansion with an enormous collection of unique design features. 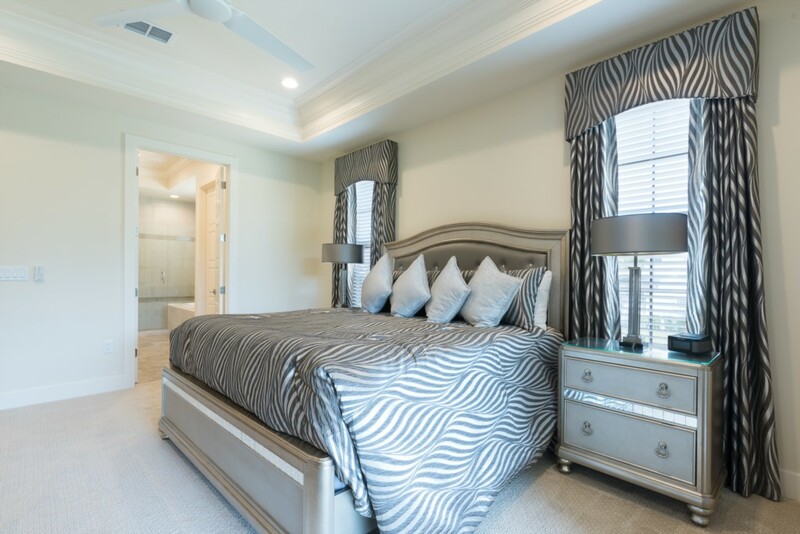 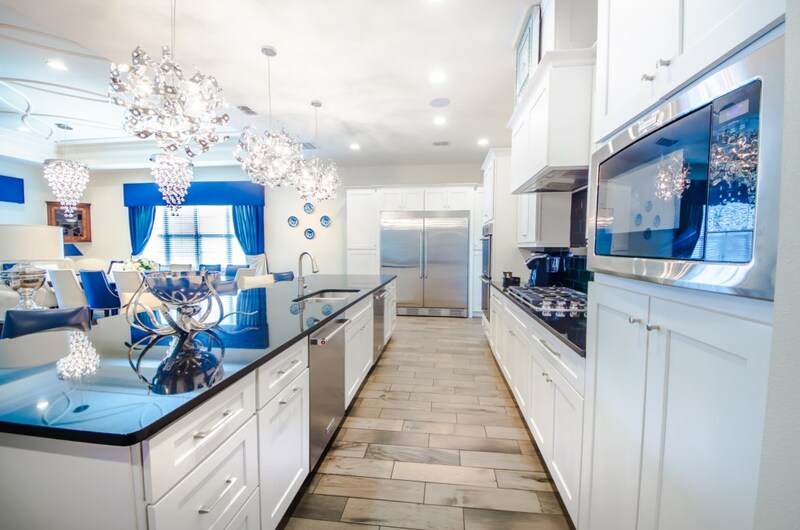 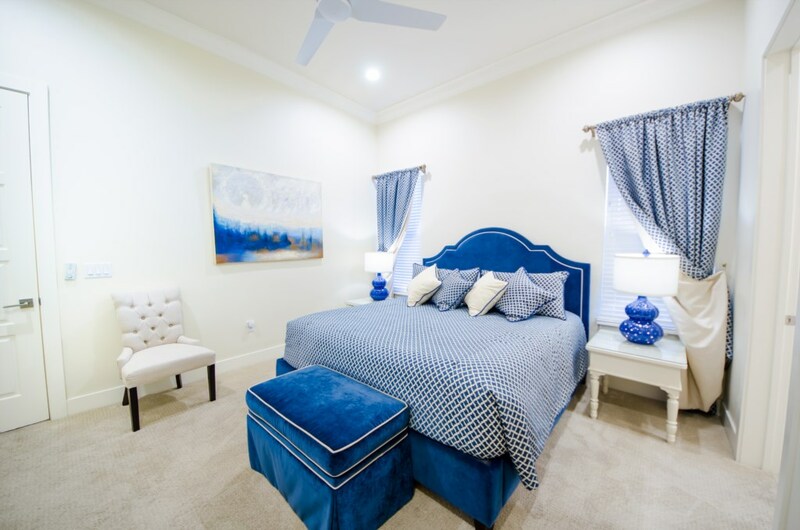 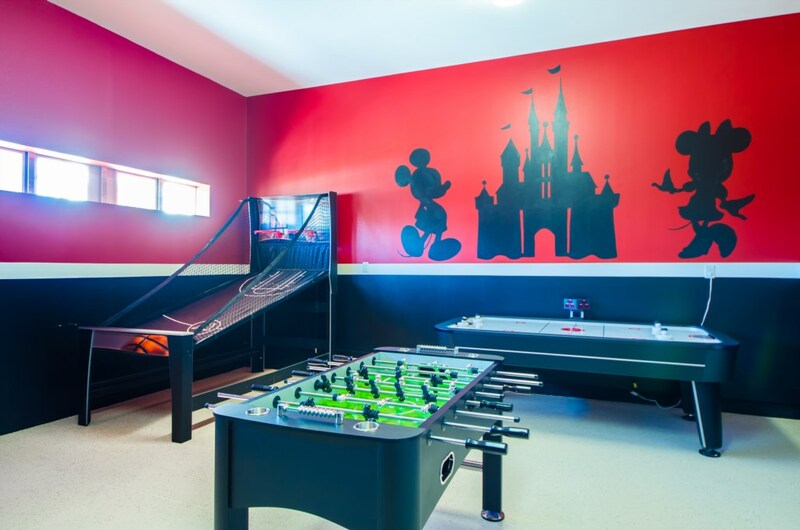 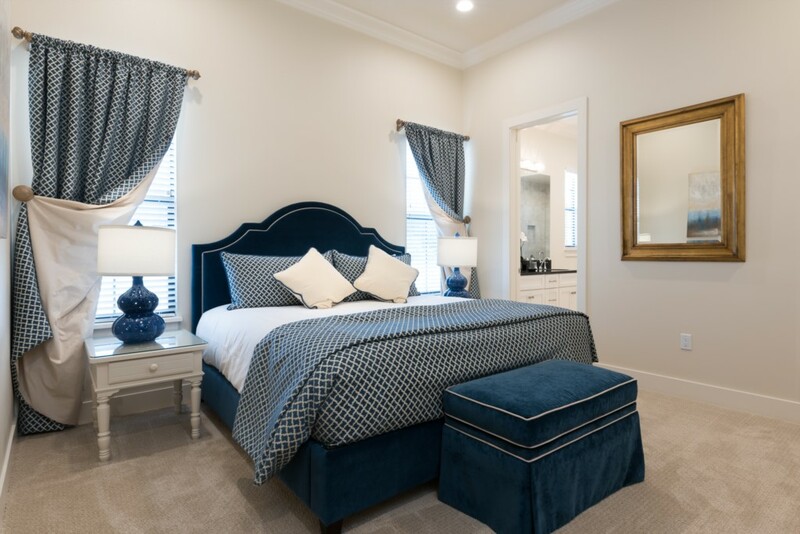 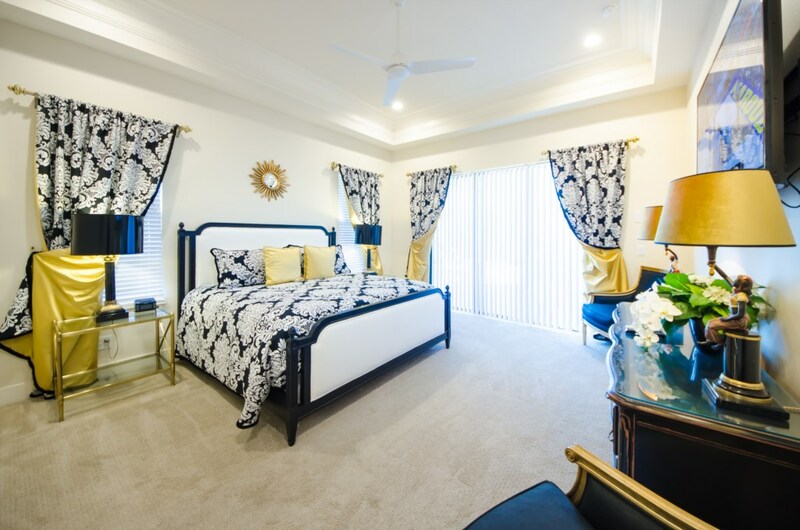 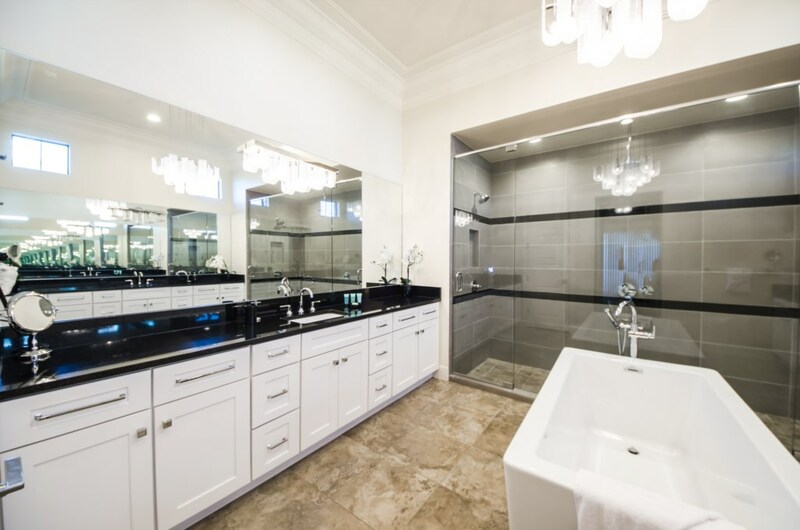 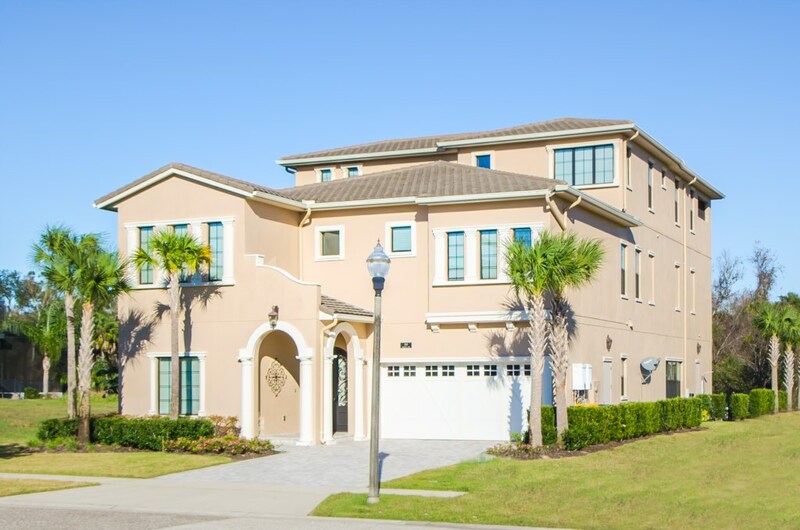 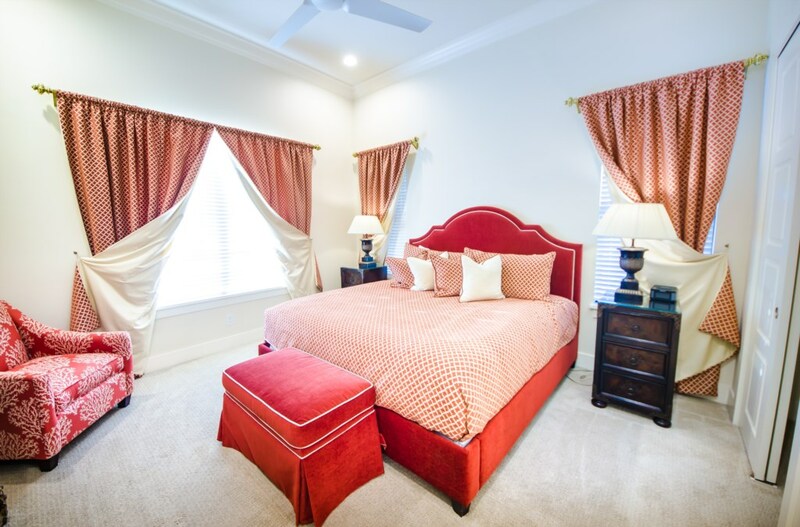 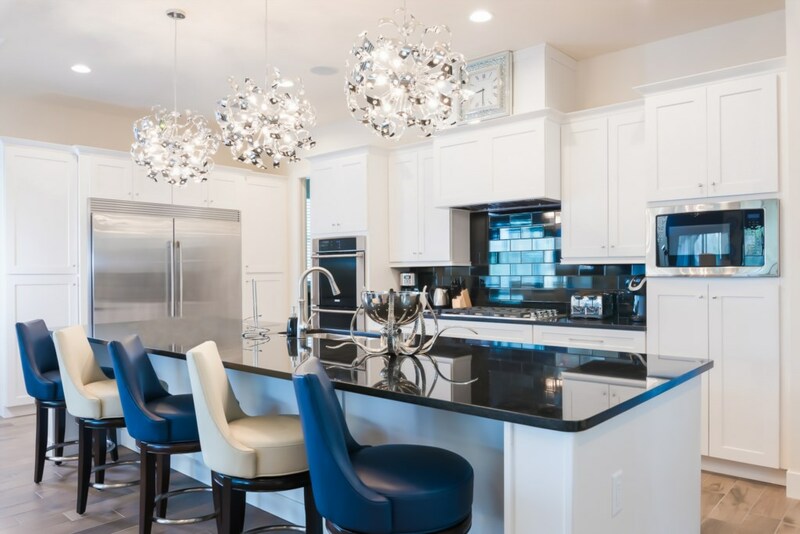 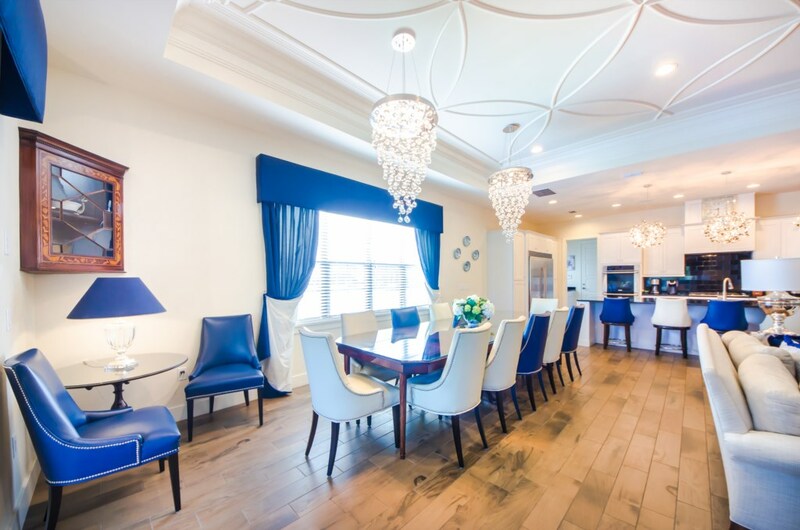 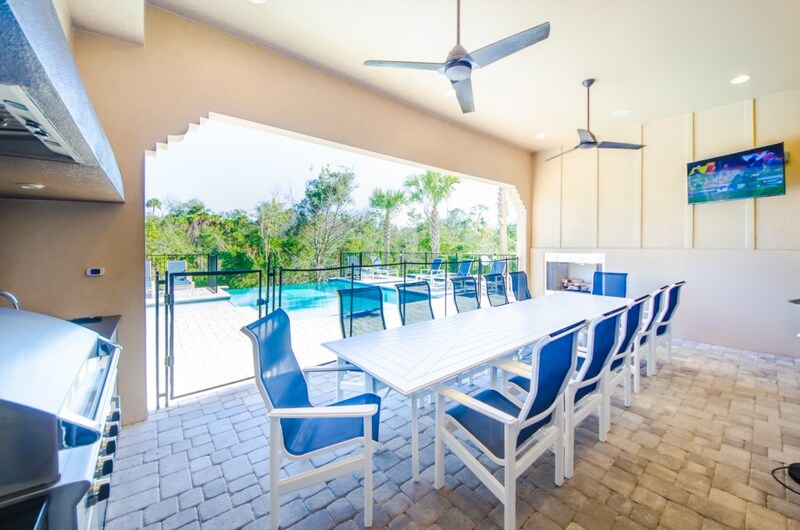 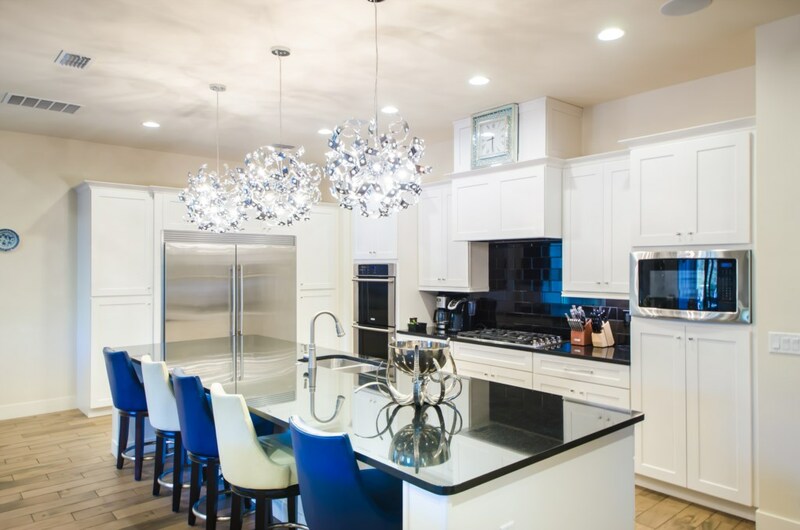 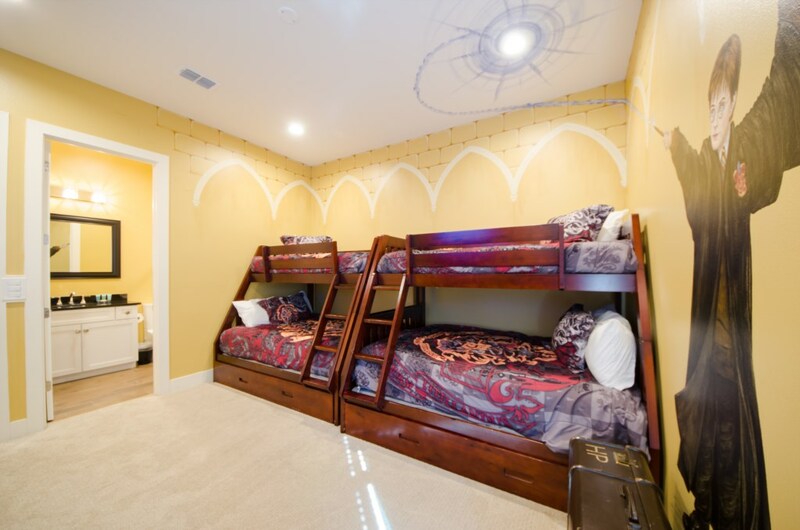 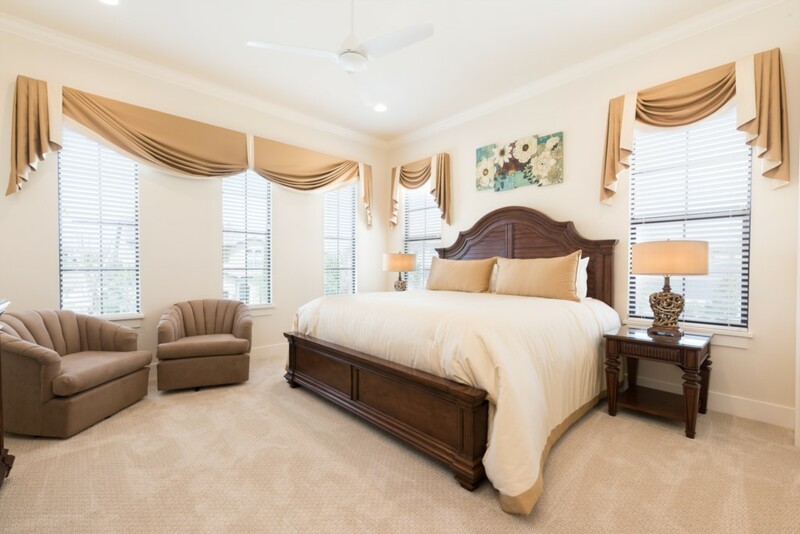 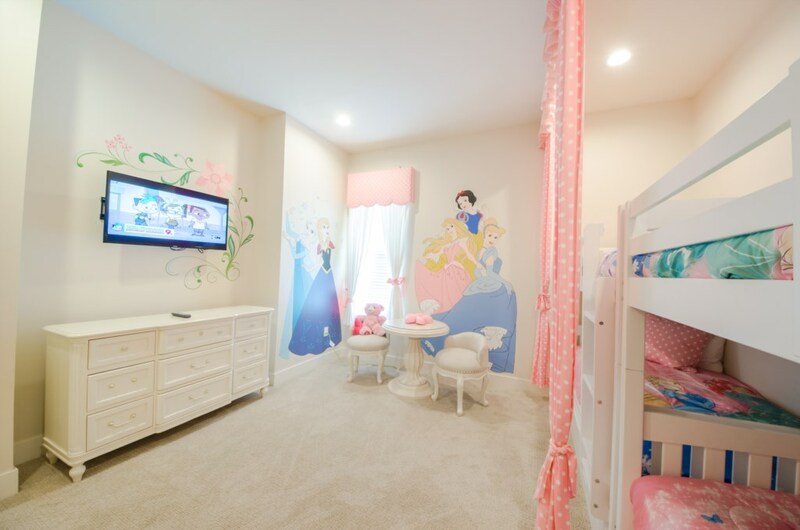 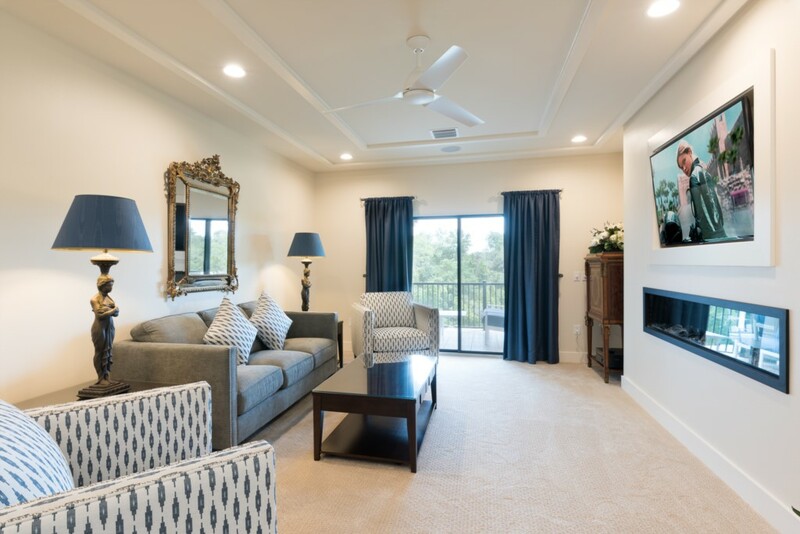 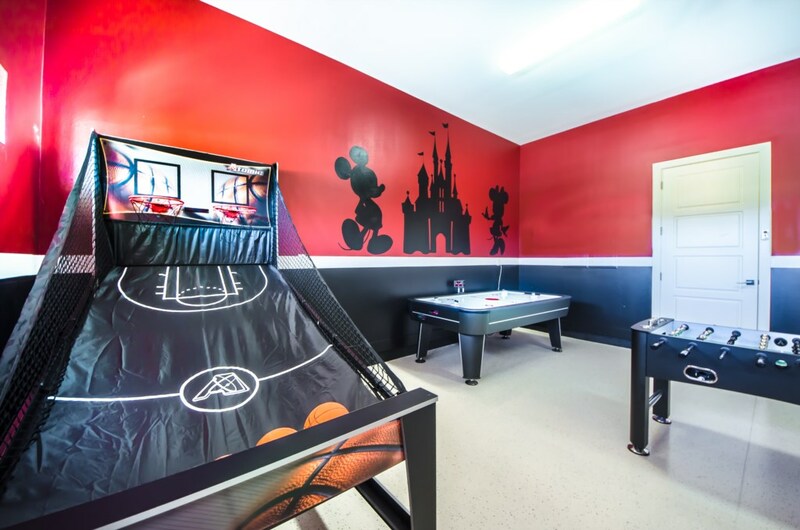 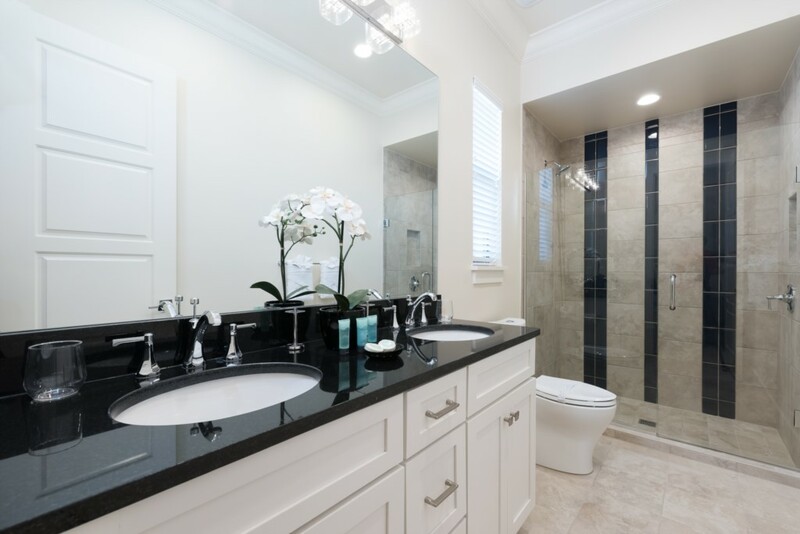 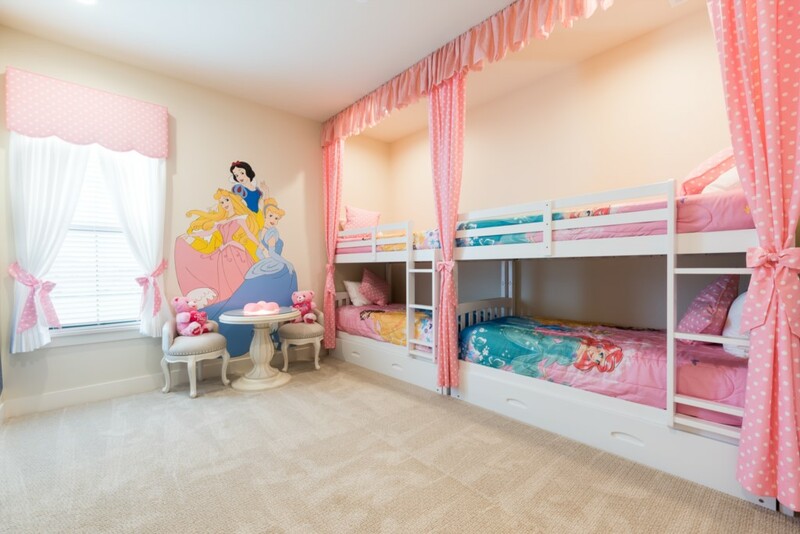 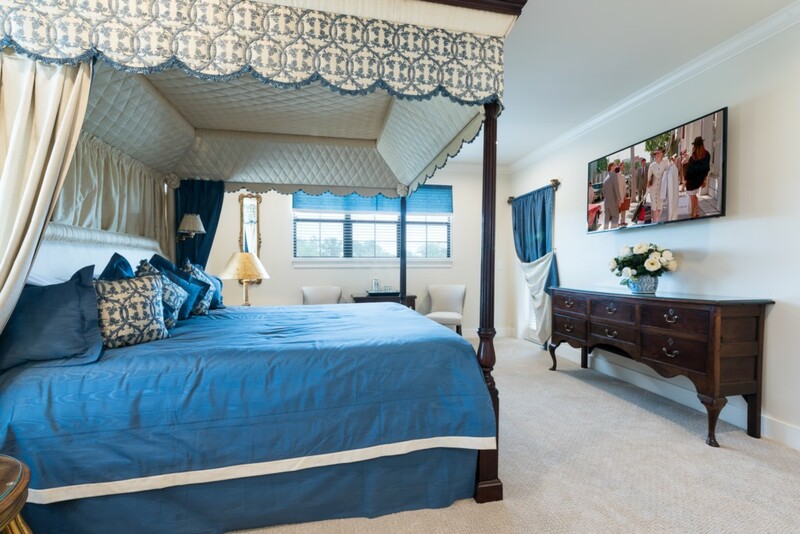 Large enough to accommodate 4 or 5 families with ease, this highly specified home provides your VIP guests a perfect opportunity to vacation in comfort and style in Orlando's most prestigious vacation home community in the Disney Parks area. 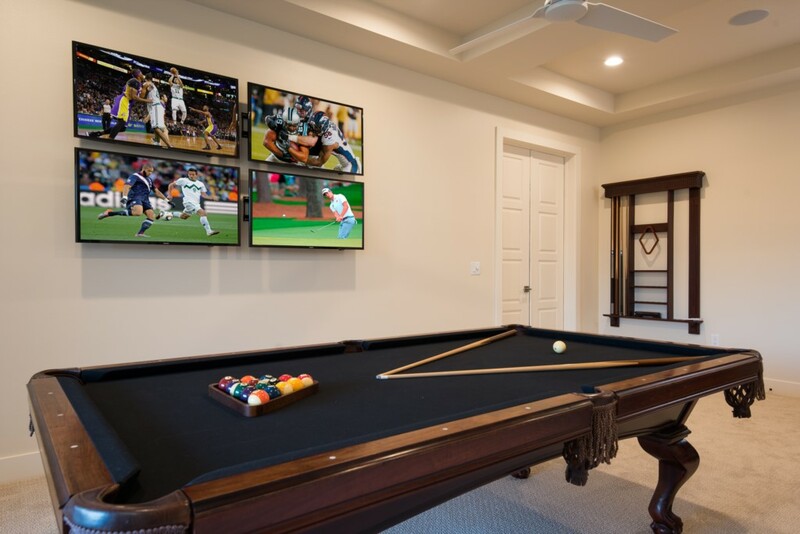 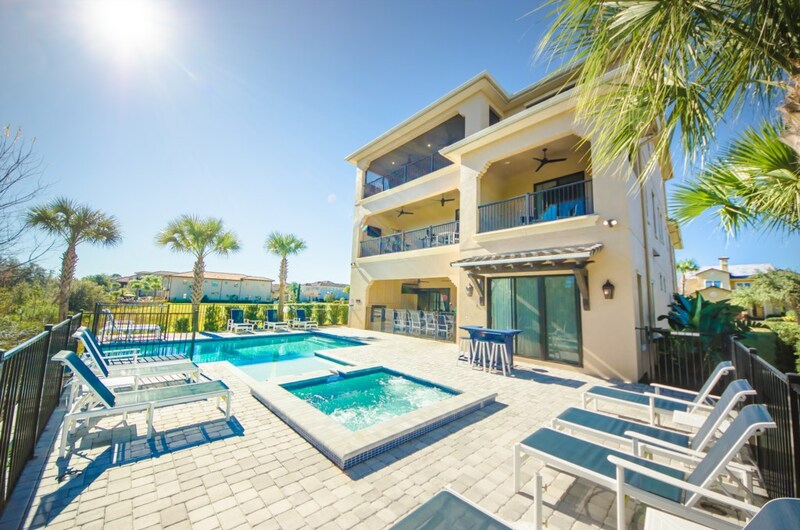 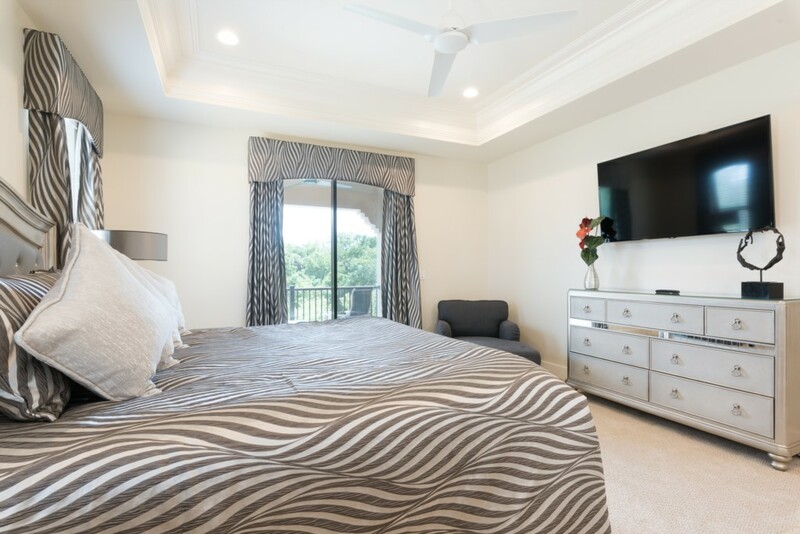 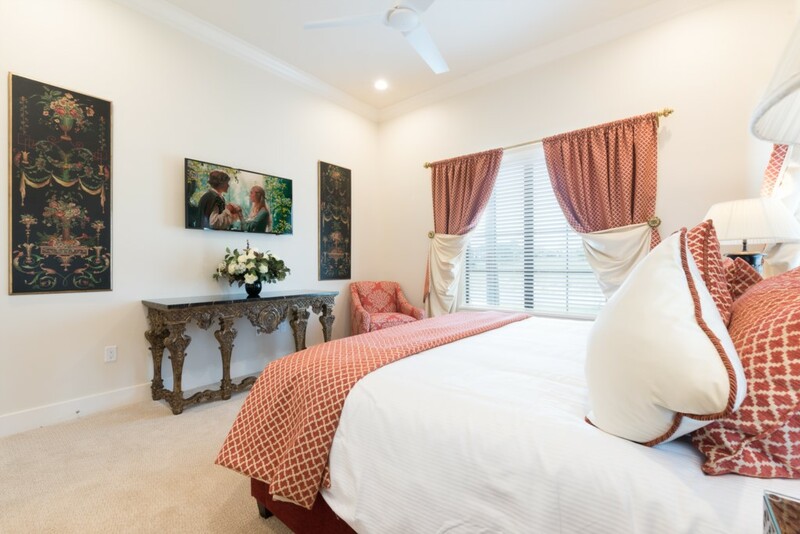 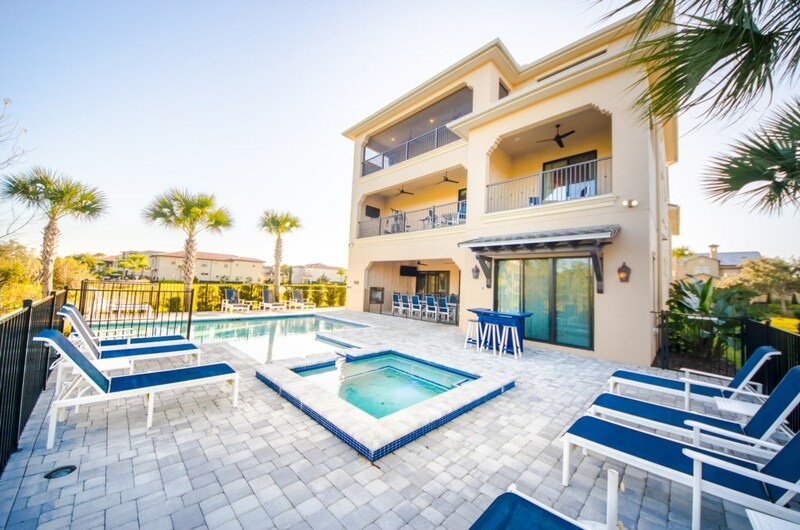 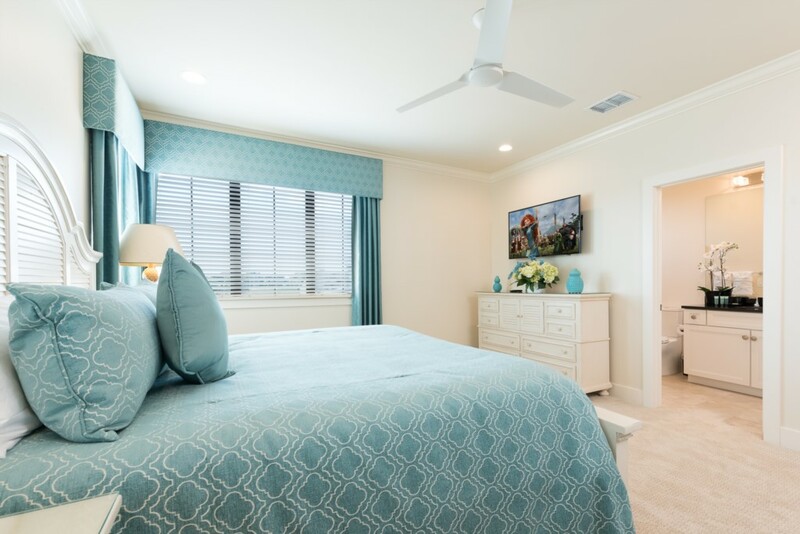 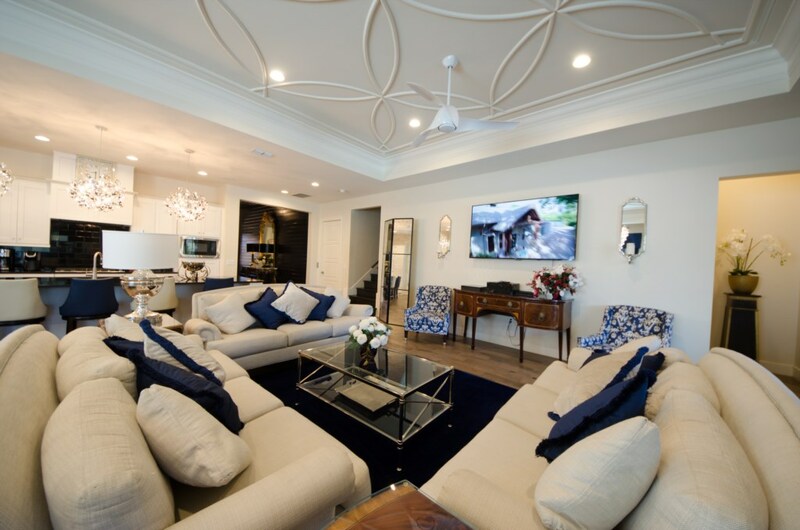 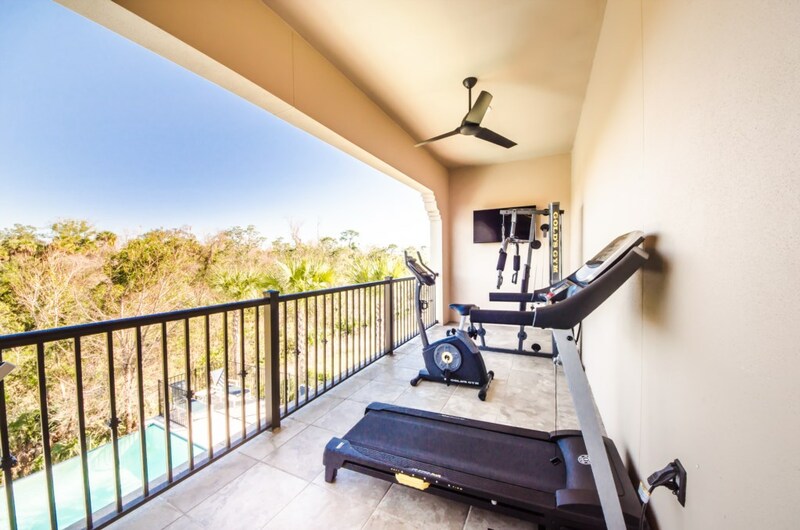 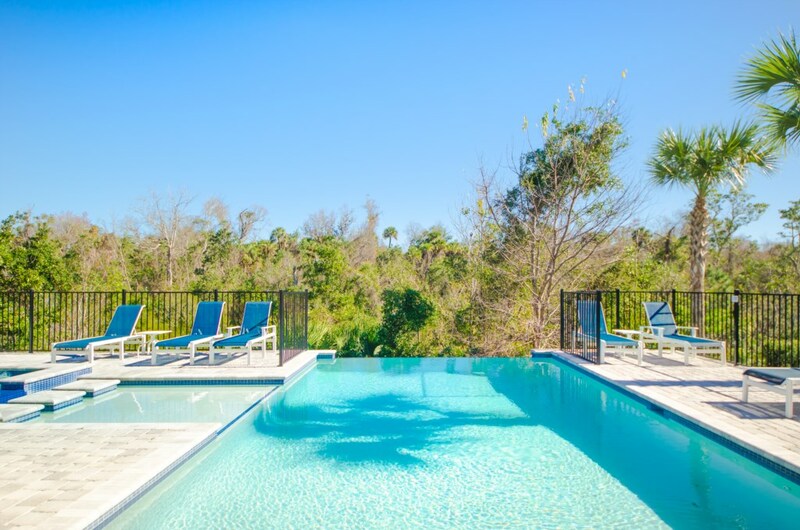 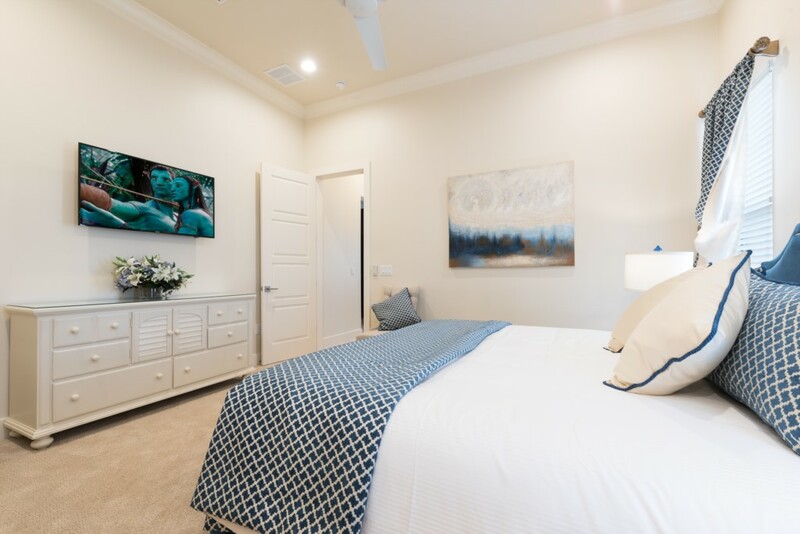 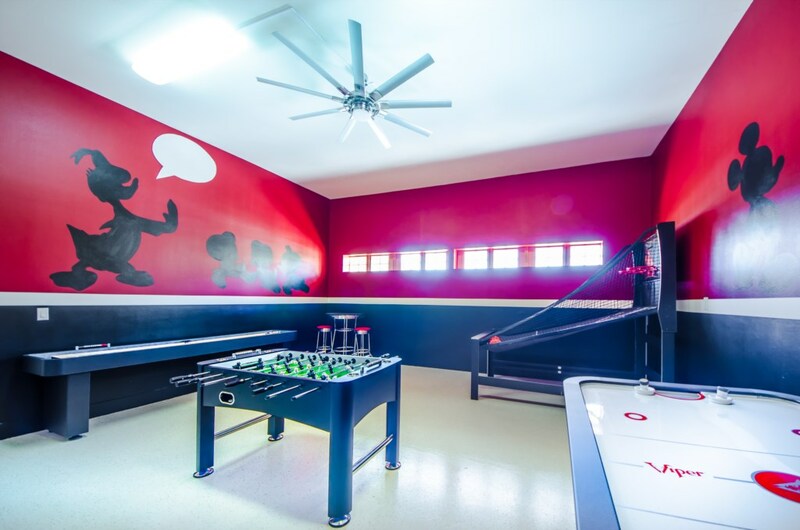 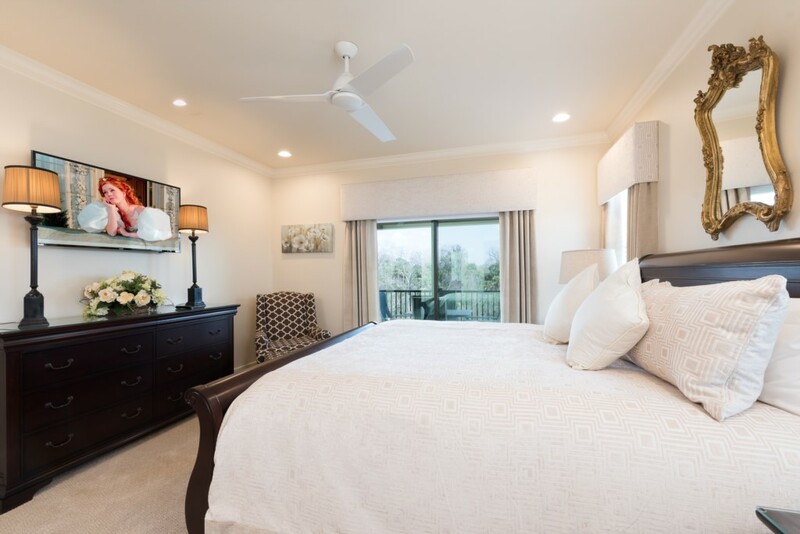 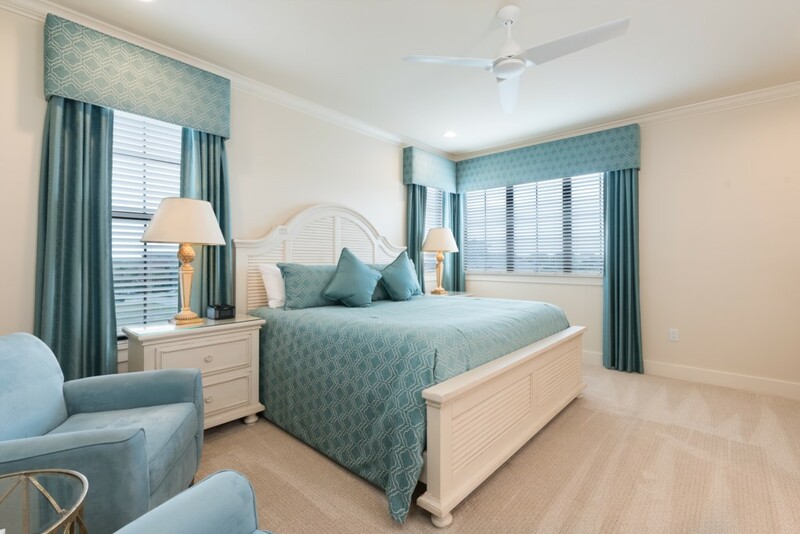 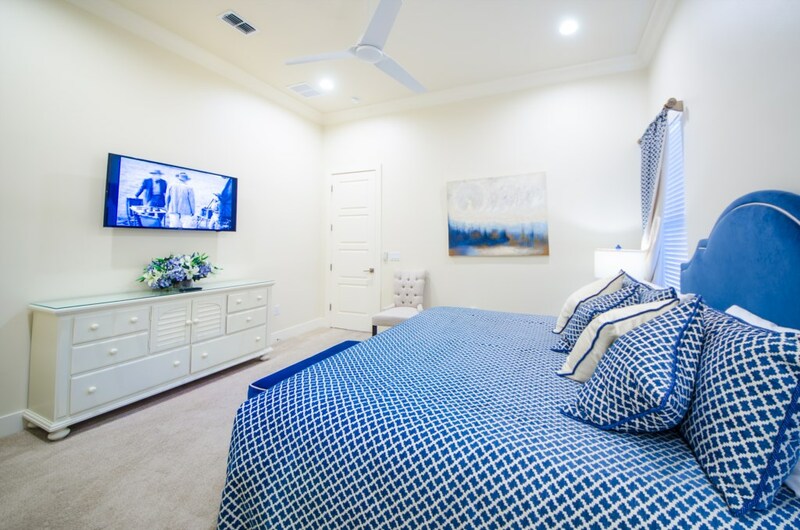 With bedrooms across three floors, multiple family living spaces, games room, home theater, luxury pool and spa, plus summer kitchen, your group can continue the vacation fun, or slow down entirely and laze by the pool in the warm Floridian air. 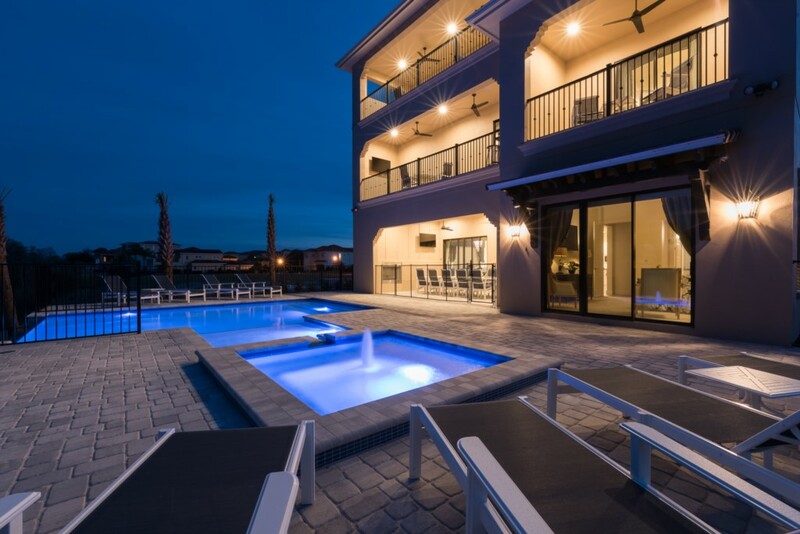 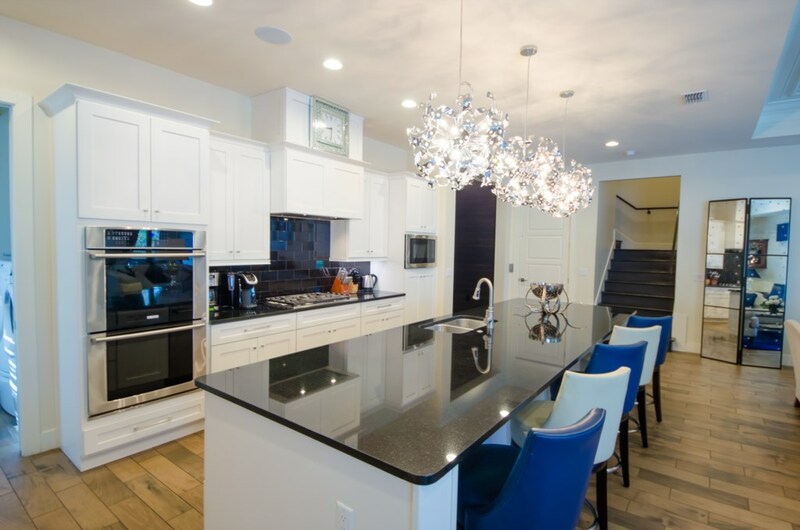 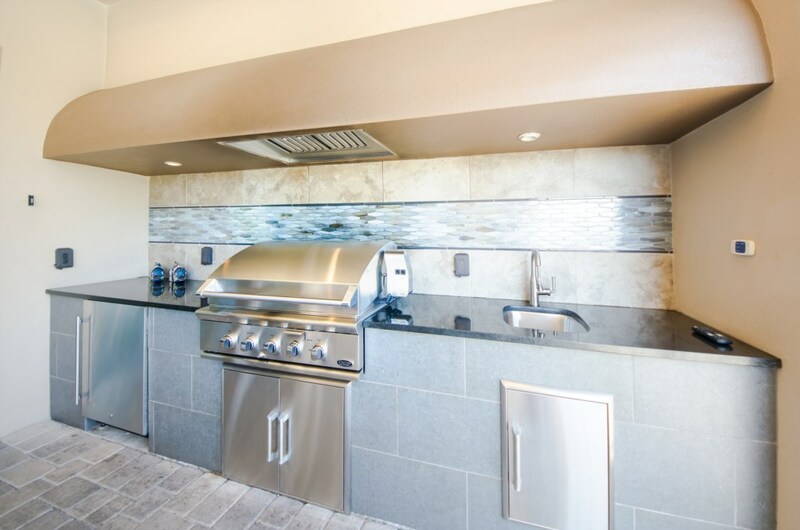 Book this stunning home now, and treat your family and friends to a dream vacation! 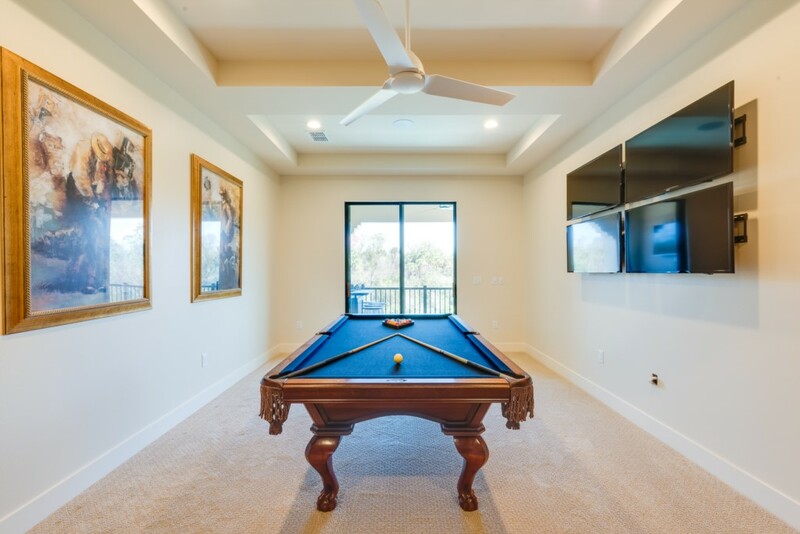 A grand entrance with formal foyer and and gallery hallway lead into the open plan living area to include a comfortable living area overlooking the pool deck, chefs kitchen with highend appliances and large breakfast counter for casual dining in addition to formal dining with 16 settings. 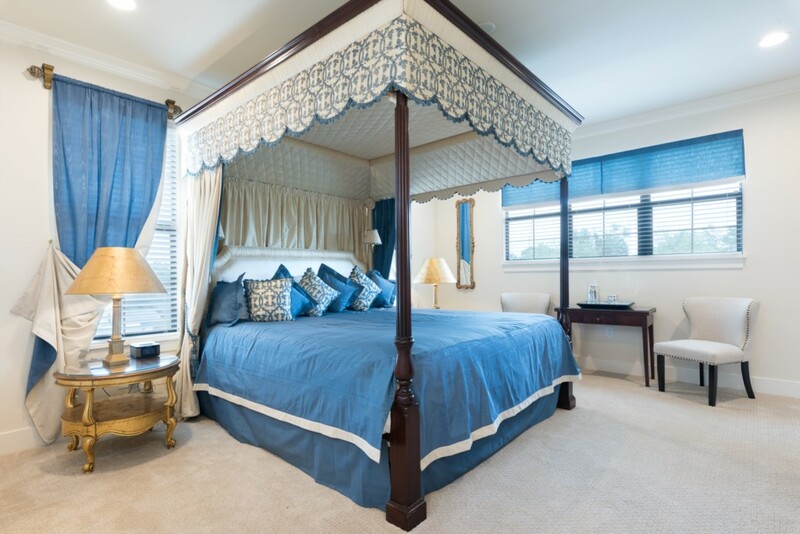 Bedroom 2 & 3 are both kingsize with ensuite bathrooms having walk in showers. 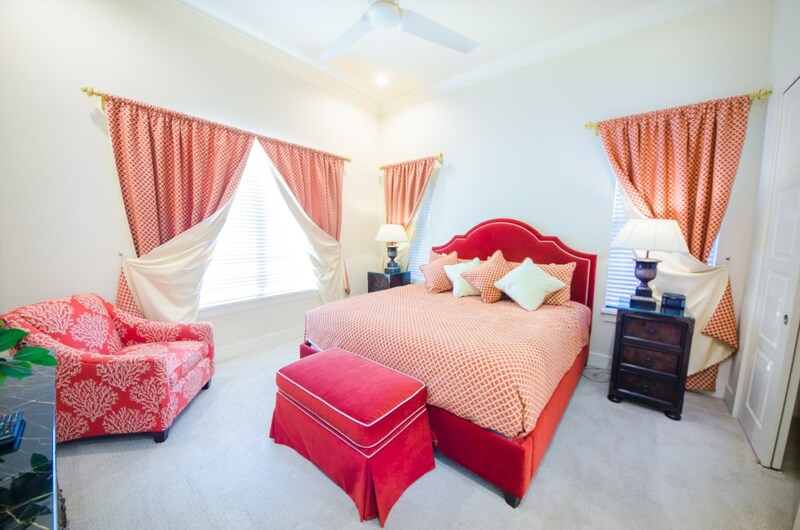 Master 2 is a kingsize with a private balcony, the bathroom has twin vanities, garden tub and walk in shower. 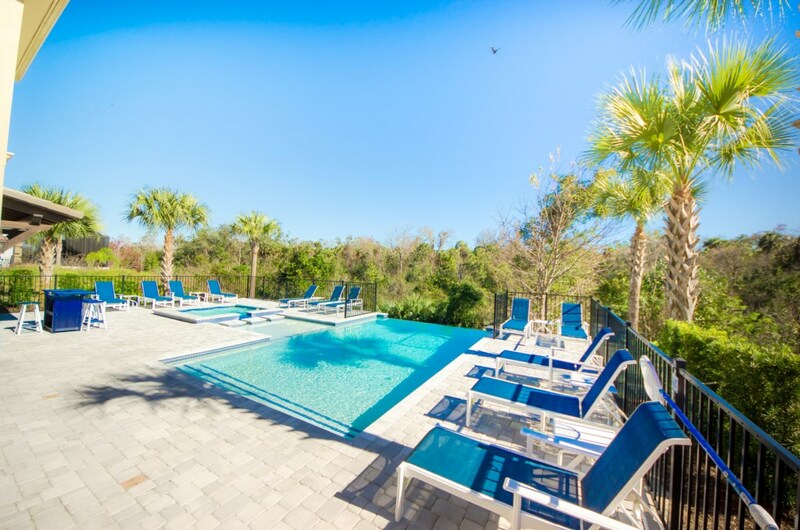 A beautiful area with built in Summer Kitchen, infinity edge heated swimming pool and spa all backing onto conservation giving guests a beautiful backdrop and privacy.